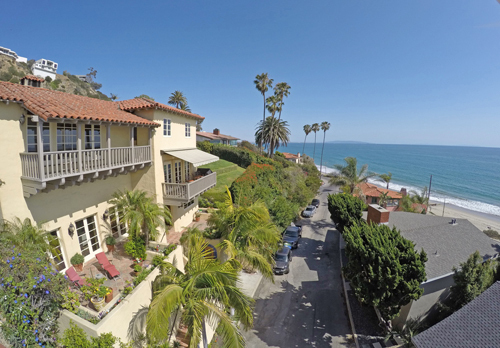 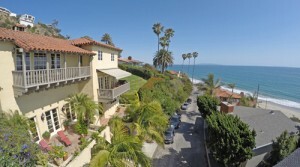 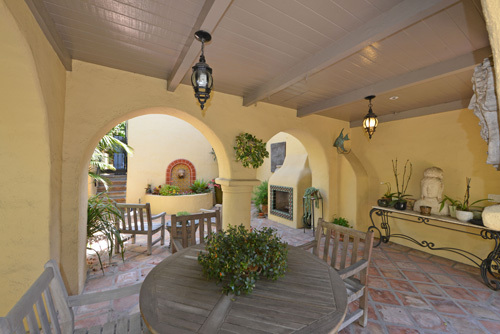 This meticulously restored 1930’s Tuscan Villa, is located off of Pacific Coast Highway across the street from one of the most spectacular beaches in Southern California. 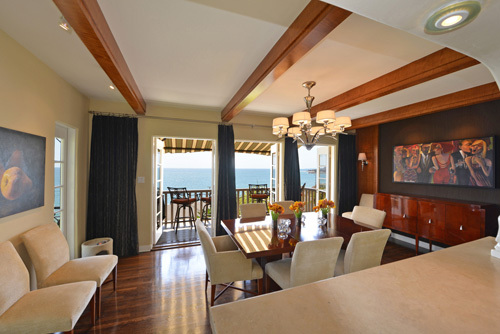 This three level, four bedroom home features a living room, Entertainment/Bar, dining room and master bedroom suite all of which have sweeping whitewater views of the Pacific Ocean. 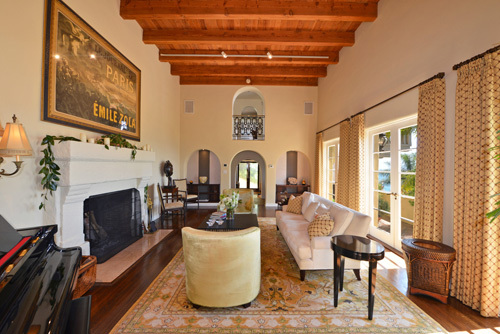 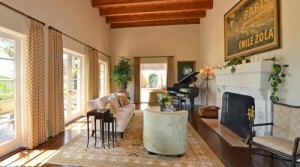 The living room has soaring 16-ft ceilings, a large wood burning fireplace and French doors that open to a private patio. 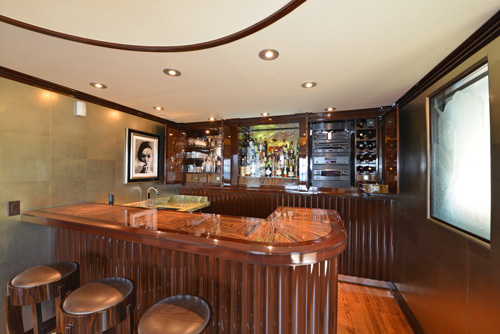 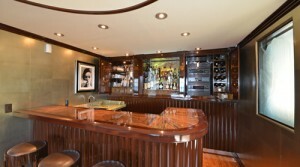 The Entertainment Room features a gorgeous bar constructed from Ebony, Zebra Wood and onyx with a built-in audio/video system and a captivating domed ceiling. 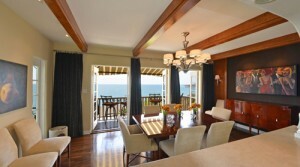 A private balcony off of the dining room, which seats up to 16 people is accessed by three sets of French doors that can be opened while dining. 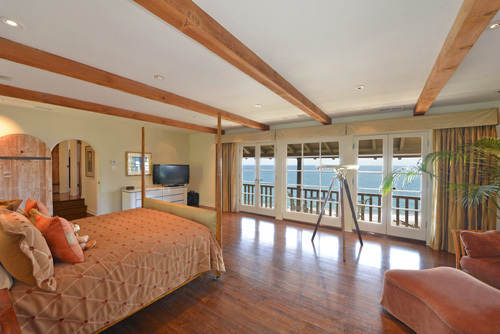 The master suite encompasses almost 400 square feet, has 180-degree views, a balcony running almost the entire length of the room and unobstructed views of spectacular sunsets. 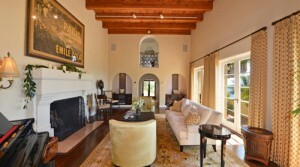 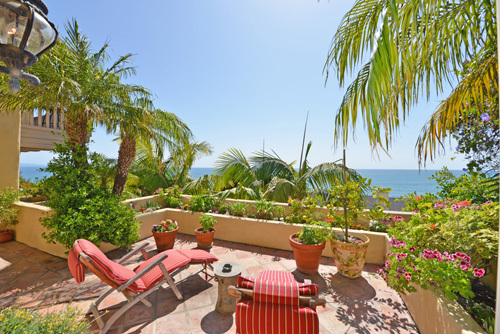 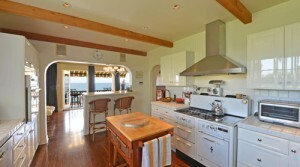 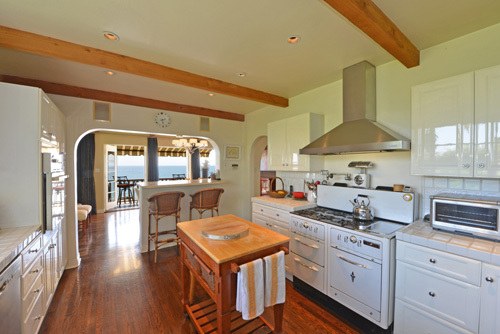 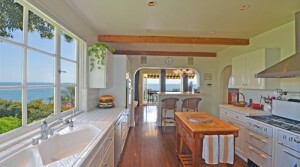 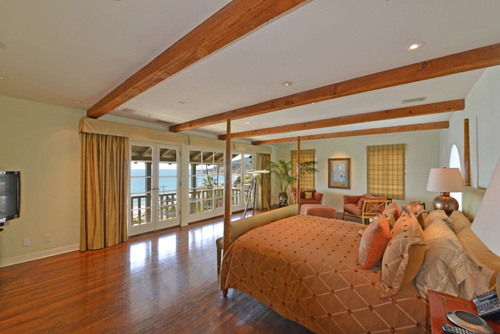 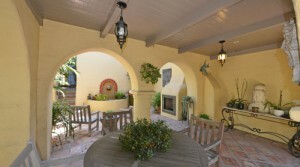 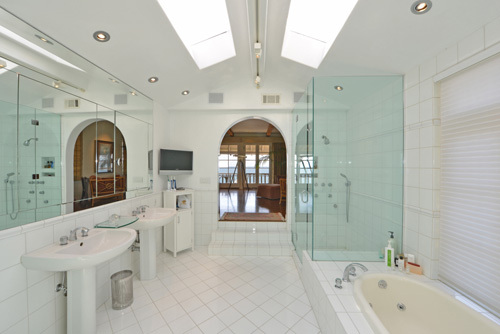 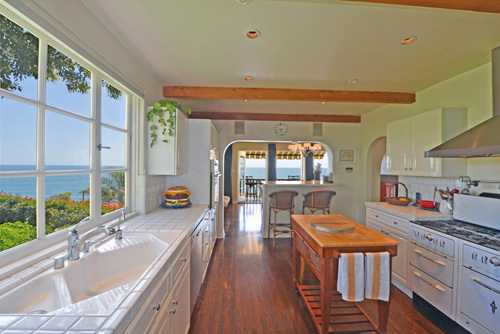 he serene sounds of the ocean & ocean views can be seen from the master bath. 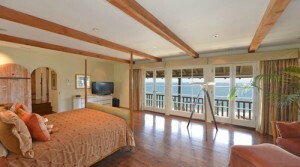 Additional family rooms share a bathroom & each room offers unique and sweeping views. 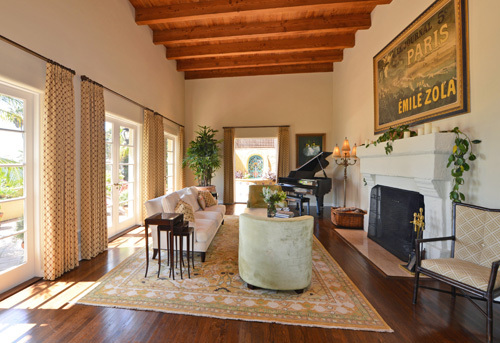 Not to be missed, this elegant home has been executed with the highest level of taste & showcases the glamour of a bygone era.